Over the course of 7 years, the month of July remains to be my most dreaded month. Ever since I started my work as a school nurse, it has always been my busiest month with all the preparations for the school's Foundation Day and the celebration of the Nutrition Month, which I am always in charge of. In fact, this year was more challenging as another responsibility was added to my existing tasks, something I half-heartedly accepted and questioned in the beginning. However, all of these worries seem to not matter because I have something really exciting to look forward to at the end of the month. Months ago, I received an invitation to attend my cousin's wedding in Quezon City. I'm not a big fan of weddings, but I gave in since I also want to give myself a much-needed break or rather, a reward. I was having second thoughts whether to push through with this or not but I think the universe conspired to make things happen, leaving me with no choice but to go along with it. And so, I'm ending the month of July with an exciting vacation. 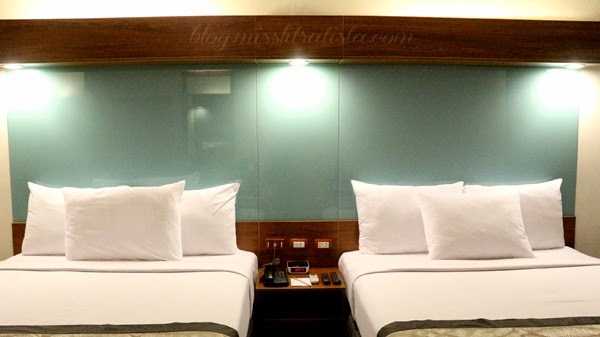 On the first night of my Manila 2014 vacation, I checked in at the Microtel by Wyndham UP Technohub branch. The 13th of its kind in the Philippines, this branch is relatively new and still in its soft opening. 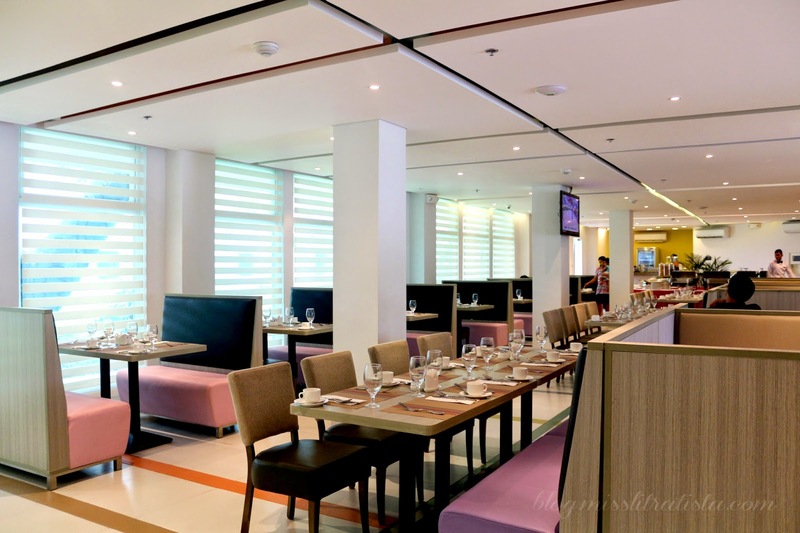 Its location among the UP-AyalaLand Technohub vicinity makes this hotel a very conducive place to stay for working professionals, students, businessmen or just plain travelers. 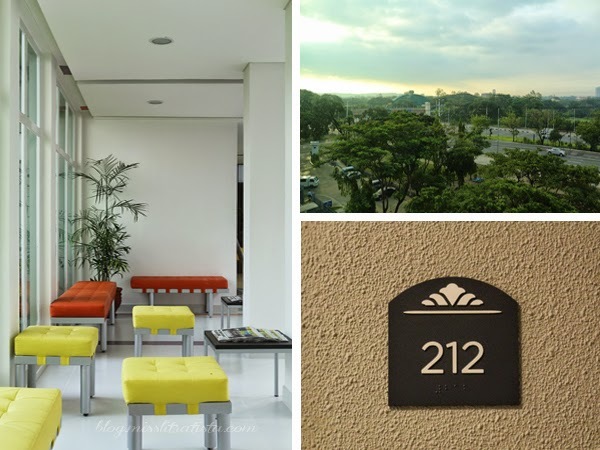 Nearby attractions include the Quezon Memorial Shrine, The National Museum, La Mesa Eco Park and the University of the Philippines Diliman Campus. This six-story structure fronting Commonwealth Avenue has 120 guestrooms, classified into 2-Queen Bed Room or 1 Queen Bed-Suite, with rooms either having the city view or the garden expanse. Unlike the one we have here in Davao, this branch has a modern facade, atypical of the usual European theme in some Microtel branches I've seen. 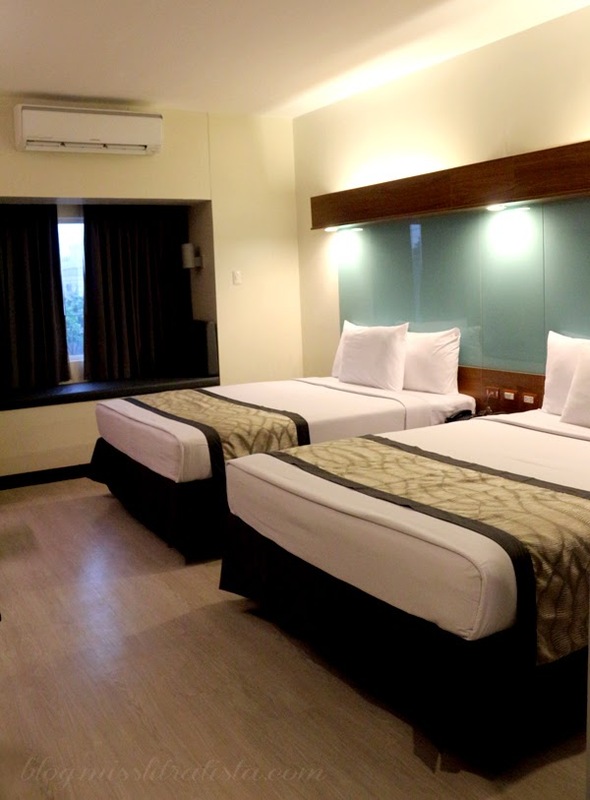 Pioneering in the no-frills, back to basics type of hotel industry, Microtel by Wyndham at UP Technohub got everything covered with its chiropractor-approved queen-sized mattresses, big and fluffy pillows, individually-controlled airconditioning unit, 32" cable LED TV, telephone, electronic keycard entry system, safety deposit box and of course, a high-speed LAN and WIFI internet access. In this age of techonology, I consider the internet as a basic necessity and I am very glad that the WIFI connection inside my hotel room didn't disappoint. The room is quite spacious for a solo traveler like me but considerably good enough for couples or even a family of 4. It also has a small working desk, and one good thing I really like about the room was the availability of numerous electrical sockets that charging gadgets at the same time did not impose a problem. 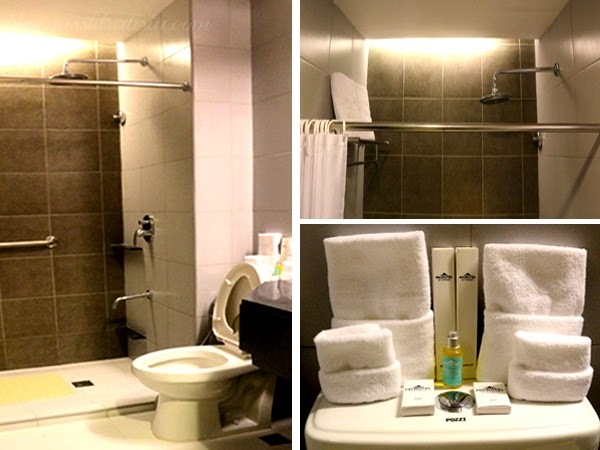 The toilet and bath is consistently clean and spacious, complete with toiletries for two and basic amenities like hot and cold shower, lavatory and their toilet is equipped with bidet, which is something that makes them stood out from the rest of the hotels I previously stayed in. An exceptional thing I noticed is the hotel manual provided in the room. 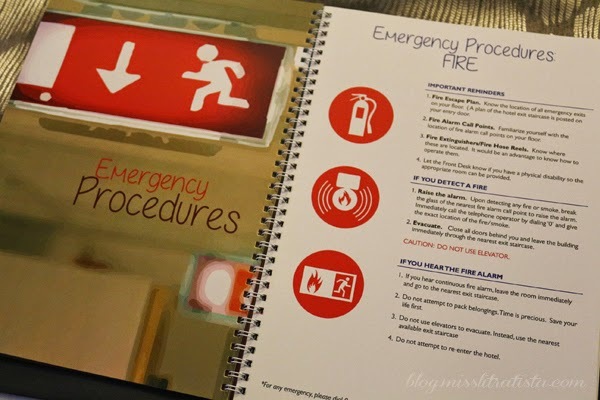 Not only is it equipped with basic features and amenities of the hotel and channel guides but more importantly, it contains information on emergency procedures during disasters. 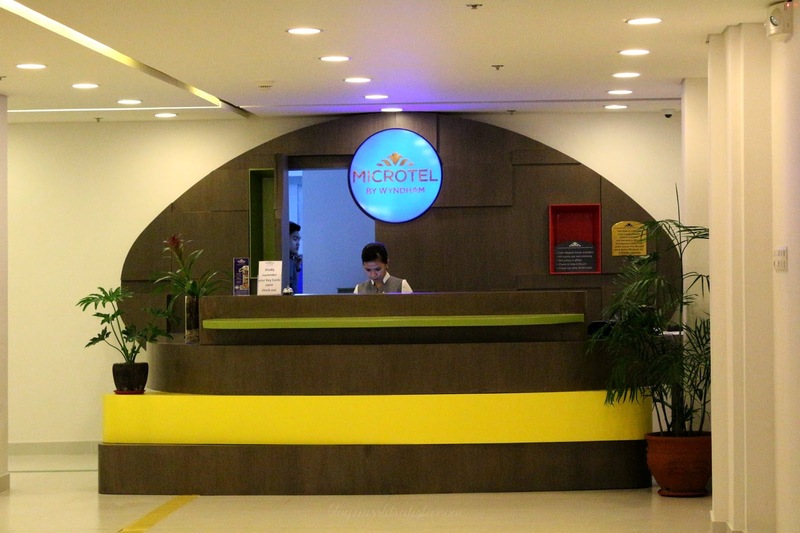 I find this feature highly commendable as other hotels tend to neglect this aspect on emergency preparedness, but with Microtel, it made them truly stand out compared to the rest. The service of the staff is noteworthy as well, as they were very dependable and always ready to serve with a smile. Checking in was a breeze as the room was already booked online. In less than 5 minutes, I was already ushered to my room. 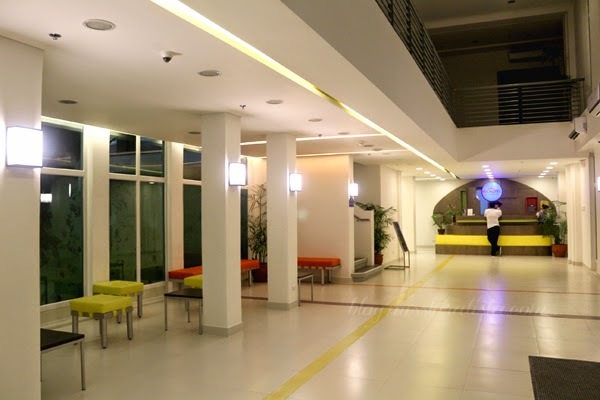 The hotel lobby has a modern look and exudes a very welcoming ambiance with the vibrant colors of the furniture. It also has a view of the garden expanse and the al fresco patio of Millie's Restaurant. 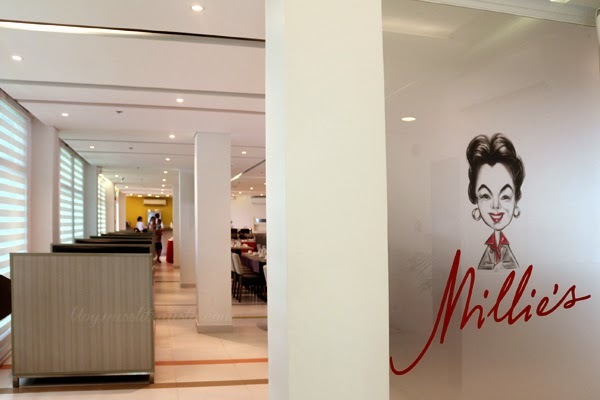 Microtel by Wyndham at the UP Technohub is also home to Millie's Restaurant, which serves the hotel's complimentary breakfast from 6am to 10 am. 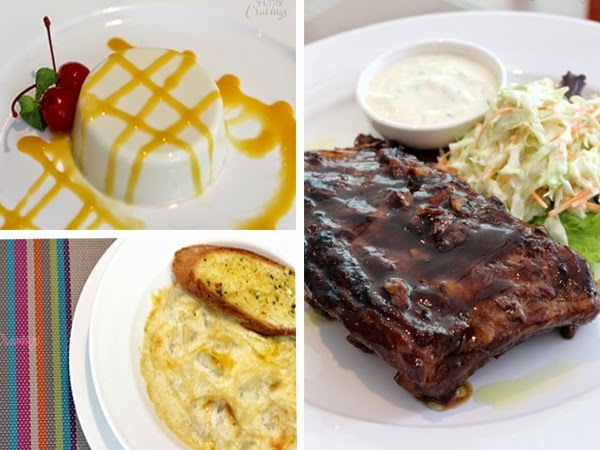 Throughout the day, the restaurant offers a selection of local and continental dishes, whipped up by Executive Chef Gino Santayana, and enjoyed in a modern and classy atmosphere. This branch also has a function room big enough to accommodate corporate events, weddings and other occasions with 150 guests and meeting rooms for 30 people. 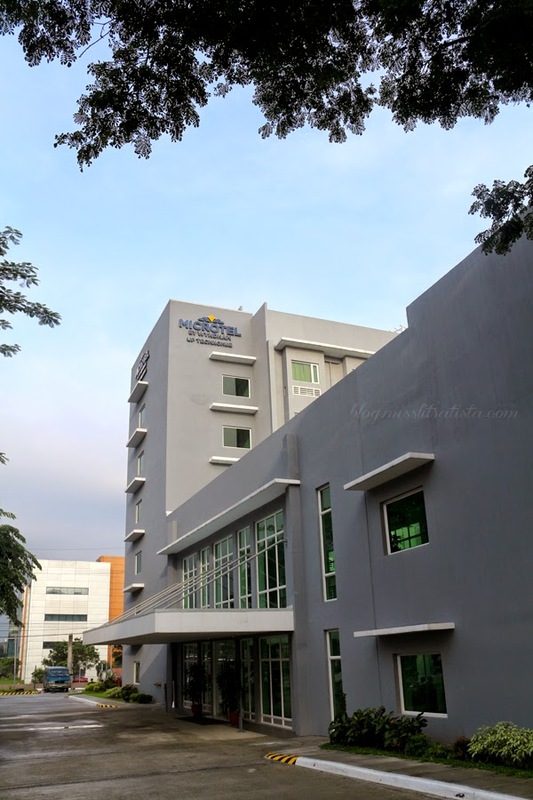 Although Microtel by Wyndham at the UP Technohub guarantees to deliver the no-frills, back to the basics kind of accommodation, I could say that it delivers more to what it promises with the kind of amenities and remarkable services that I experienced during my stay. 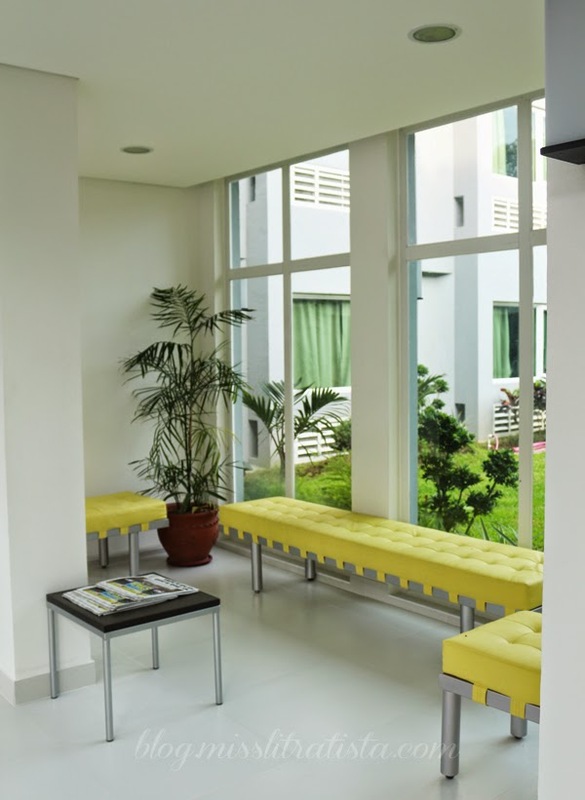 Certainly, travelers are assured of a clean, comfortable, decent and secure accommodation with great value for money, even beyond what you're expecting for. Thank you very much to Mr. 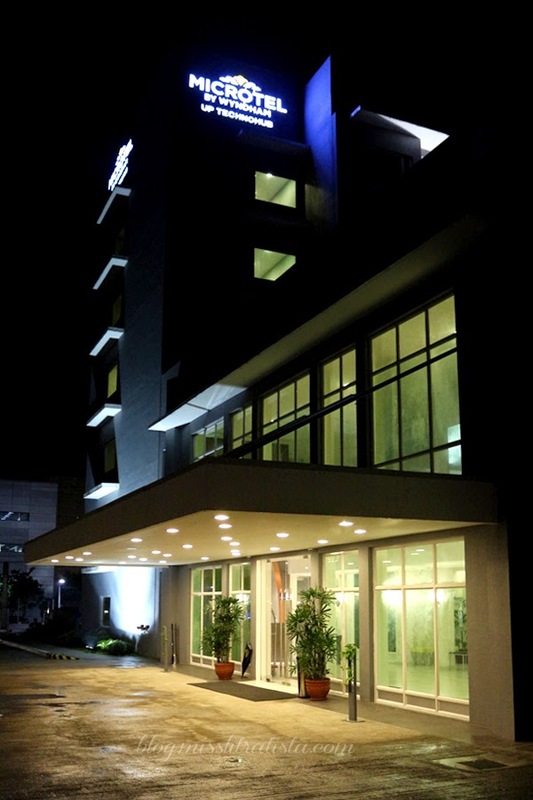 Guy M. Umali, the General Manager, to Mr. Dandi A. Galvez, Microtel's Marketing Communications Manager and to the rest of the staff of Microtel by Wyndham UP Technohub for the very hospitable accommodation. I truly had a great and relaxing stay at your hotel. 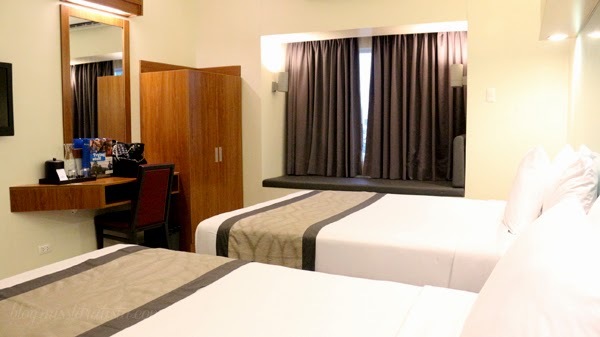 Rates start at Php 3,199 per night which includes overnight stay in a double room with breakfast for two persons, welcome drinks, wifi access at the lobby and discount in other Microtel Hotels nationwide. 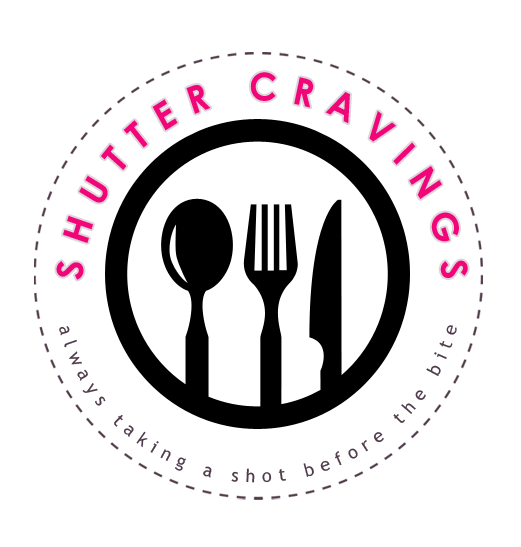 Promo ends until December 30, 2014. 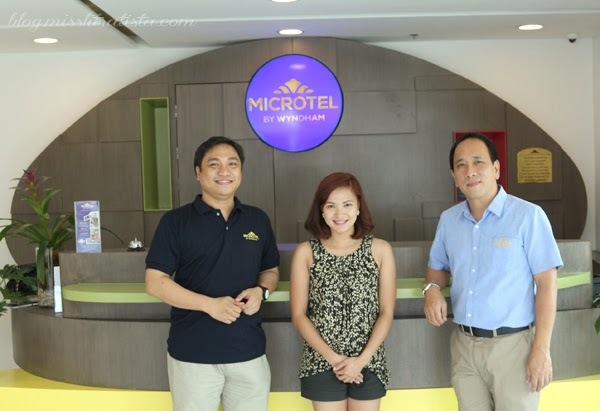 All Microtel in the Philippines are managed by Microtel Development Corporation, the hospitality army of the PHINMA Group. This looks like such a beautiful place to stay! 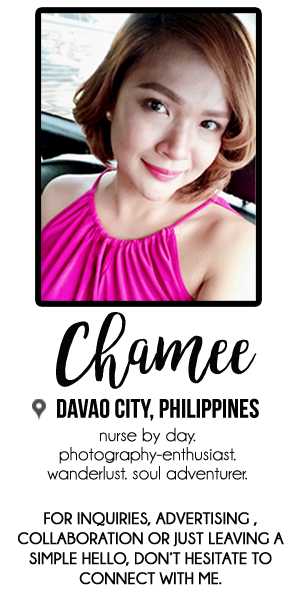 staycation na tayo Chamee! heheheh! Amazing images of the best hotel in the world. It looks like a beautiful place to stay in the Philippines. I really like it. I have been visited many times in the Philippines but never stay in this hotel. After complete my New York Holidays I must go again in this country and stay at the Microtel by Wyndham hotel. Your blog is very helpful those who want to tear. I'm impressed it. Good Job and Keep sharing.